During a special internal department office meeting held by the Wayne County Board of Supervisors on March 28, Wayne County Conservation Director Bonnie Friend gave her request for resignation. 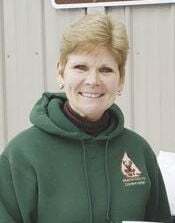 Friend will be resigning effective Tuesday, April 12 as she has taken a position at Red Haw State Park in Lucas County. The board also discussed other agenda items including a land purchase for the Wayne County Fair Board from the Wayne Community School District, and other internal courthouse issues including on-demand water heaters, an IT consultant site visit, issues with Access Systems, servers needing replaced for network and the possibility of funding Allerton Pavement Project through TIFs. The next regular Board of Supervisors meeting is scheduled for Monday, April 8 at 9 a.m.